Irritable Bowel Syndrome or IBS is the name of the common condition that is estimated to affect between 30 million and 50 million Americans. Although two people afflicted with this same disease might have vastly differing symptoms, most IBS sufferers find it to be a highly debilitating condition. IBS can affect one’s overall quality of life as it has both public and private impacts. There is no cure-all for IBS, and treatments that prove effective for one person maybe be just as ineffective for another. 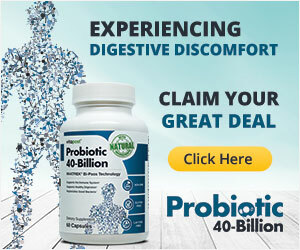 Recently, however, science has pointed to a natural treatment – probiotics for IBS. Irritable Bowel Syndrome (IBS) is a condition that affects the gut. Symptoms that one person experiences with IBS may be vastly different from the symptoms suffered by another person. There are also different theories as to what causes IBS. One theory is that IBS causes the colon to contract abnormally and this is why IBS is sometimes called Spastic Colon. A more recent theory points to an absence or imbalance of healthy bacteria in the gut as the cause of IBS. Symptoms of IBS can range from the extreme with frequent diarrhea or long-lasting constipation, to less severe symptoms like gas, bloating, cramping, or abdominal pain. These symptoms can often put IBS sufferers in awkward social situations. 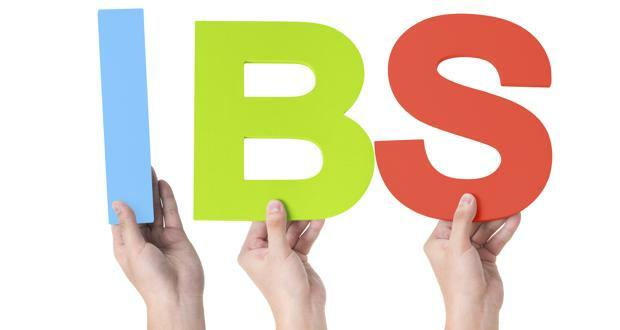 Imagine having constant stomach cramps, or gas so severe that you cannot even sit down, and it is easy to see why IBS has such a dramatic effect on the lives of those who suffer from it. The difficulty in treating IBS stems from the fact that the exact cause of the disorder is unknown. Because of this, IBS cannot be cured – it can only be treated. Most doctors agree that certain foods can make IBS worse, and that certain behaviors can make IBS worse. Doctors sometimes prescribe anti-depressants or anti-spasmodics to combat IBS, but those do not work for everybody. Increasingly, lifestyle changes, such as avoiding foods or stresses that trigger IBS symptoms, are also being recommended. Acupuncture, yoga classes, and other methods to combat stressors are being increasingly recommended. Diet is an area where probiotics can be used to manage IBS. 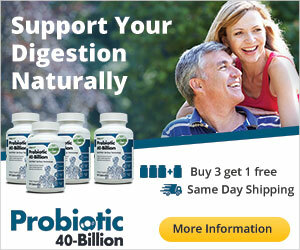 Probiotics are another name for the healthy bacteria that live in our intestinal tracts. These bacteria, or microorganisms, help us to digest the foods we eat more easily and effectively. Certain things can kill off these microorganisms – like antibiotics, for example – which will affect digestion until the microorganisms are replaced. Modern food science has realized this, and probiotics are now available as stand-alone supplements and as an additive in certain foods, like yogurt. The two most common probiotics are Lactobacillus and Bifidobacterium. These, however, are just two broad categories that include many different specific probiotics. One probiotic may affect health in a way that another probiotic does not. Basically, no two probiotics are alike! Since probiotics are considered a supplement, there are no official recommendations as to their efficacy in the treatment of IBS. Several different research studies have been conducted, however, into the use of probiotics to manage IBS symptoms. These include a study conducted in Seoul, Korea in 2006, and one in the United Kingdom in 2002. In general, studies have concluded that probiotics can help to manage IBS symptoms, and more importantly, that using probiotics to manage IBS does not cause any additional negative side effects. Specifically, the few research studies that have been conducted point to the Lactobacillus and Bifidobacterium microorganisms as useful in controlling and even preventing the pain, bloating, and gas that accompany IBS. There are several different things to consider before starting on a dietary regimen of probiotics. Most important to note is that the FDA has not approved probiotics use in any shape or form as a way of improving health. Additionally, since dietary supplements are not strictly regulated in the United States, choosing a product from a reliable manufacturer is necessary. If you have other health issues in addition to IBS, like heart problems or diabetes, consult with a doctor before starting a probiotic regimen. Health supplements can interact in dangerous ways with prescription drugs even though they are natural in form, and a doctor can make recommendations to prevent negative side effects. If you are a pregnant or breast-feeding, it is absolutely essential to speak with a doctor about probiotic use. Natural supplements can still pass through placenta or breast milk and affect a child’s health. Keeping these things in mind should help you to safely integrate probiotics into your daily routine for managing IBS.